Being diagnosed with breast cancer is a very stressful event that has a profound impact on multiple aspects of a patient’s daily life. Little is known about the quality of life (QOL) of Chinese women with newly diagnosed breast cancer. 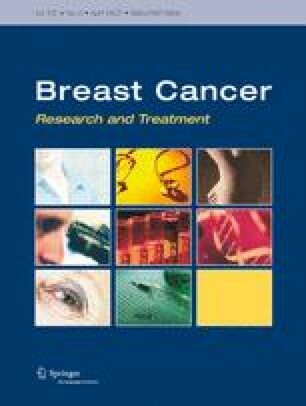 The authors evaluated QOL in 2,236 Chinese women with newly diagnosed breast cancer who were recruited into the Shanghai Breast Cancer Survival Study between April 1, 2002 and March 31, 2004. Patients’ QOL was assessed after cancer diagnosis (median time 6.4 months; range 3.6–11.1 months) by using the General Quality of Life Inventory. Multiple linear regression models were used to analyze the associations of QOL outcomes with medical and socio-demographic factors. Patients showed significantly worse overall QOL and perceived health status than healthy women, reflected mainly by lower QOL scores in physical and psychological well-being domains. Completion of radiotherapy, ever use of tamoxifen, being underweight, having an increased number of chronic diseases, and low household income were significantly associated with lower overall QOL scores after adjusting for other factors. Age at diagnosis was inversely associated with physical well-being, positively associated with material well-being, and had minimal influence on overall QOL. Stage of disease, chemotherapy, and education were only associated with certain domains, but had no influence on overall QOL. Estrogen receptor/progesterone receptor status and type of surgery or immunotherapy did not appear to be associated with QOL. The findings of the present study provide important information on QOL and their correlates among Chinese women with newly diagnosed breast cancer and are helpful in developing treatment strategies accordingly. This study was supported by the Department of Defense Breast Cancer Program (DAMD17-02-1-0607, PI: Dr Xiao-Ou Shu). The U.S. Army Medical Research Acquisition Activity, 820 Chandler Street, Fort Detrick, MD 21702-5014, is the awarding and administering acquisition office. The content of the information does not necessarily reflect the position or the policy of the Government, and no official endorsement should be inferred. Dr Yong Cui is supported by the NIH Grants: NCMHHD 5 P20 MD000516-03 and 5 U54 CA091408. The authors thank Dr Fan Jin for her support in study implementation and the participants and staff members of the SBCSS for making this study possible. The authors also thank Ms Bethanie Hull and Ms Brandy Bentley for their assistance in manuscript preparation.